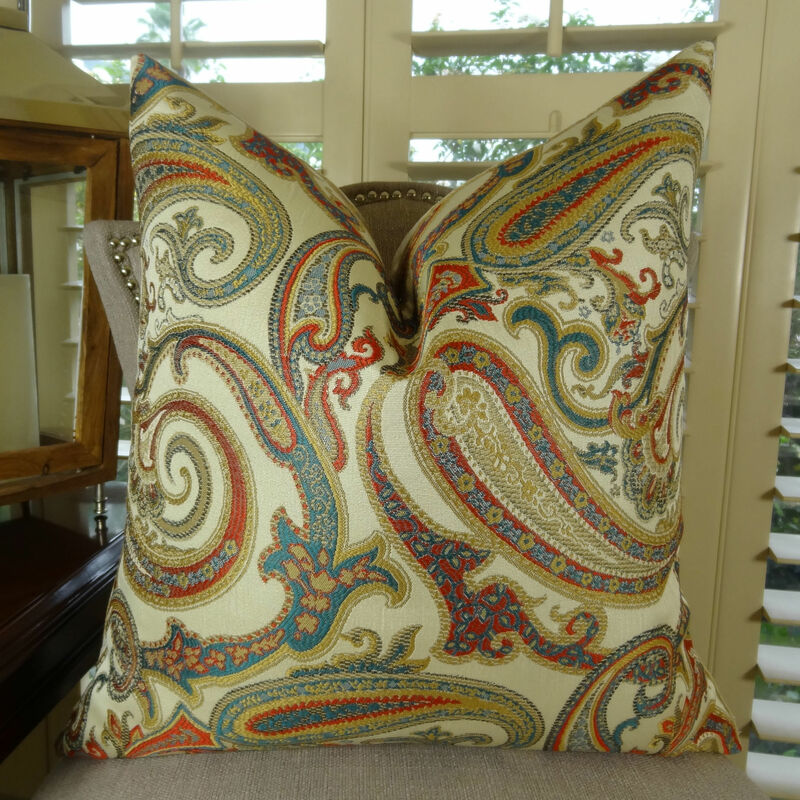 Paisley throw pillows will liven up any room. 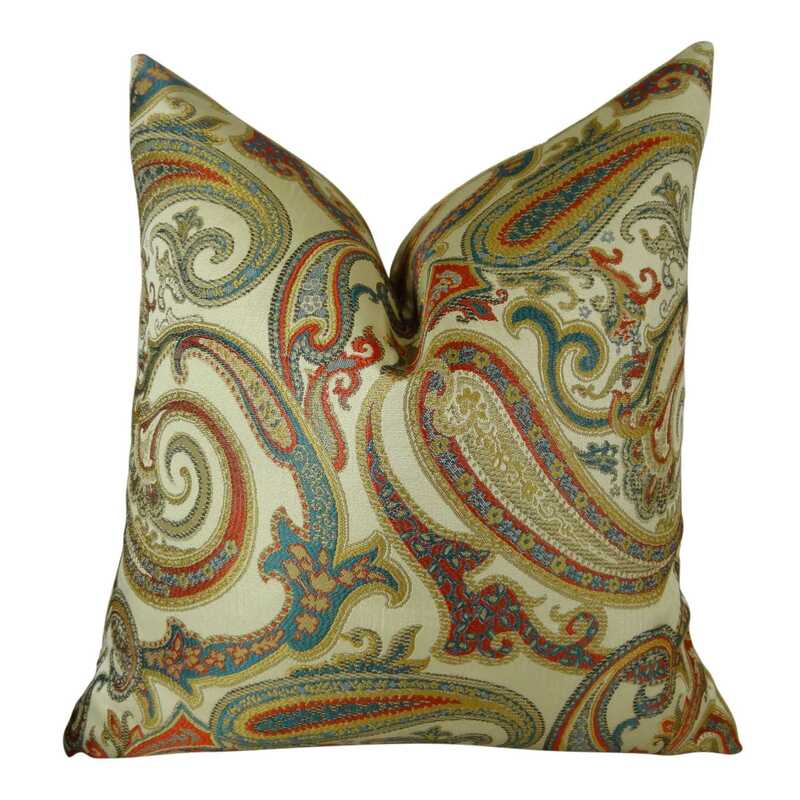 This stunning paisley floral accent pillow has orangish red, blue, taupe and cream colors to suit any home d?cor with a coordinating neutral solid back fabric to match the front fabric. 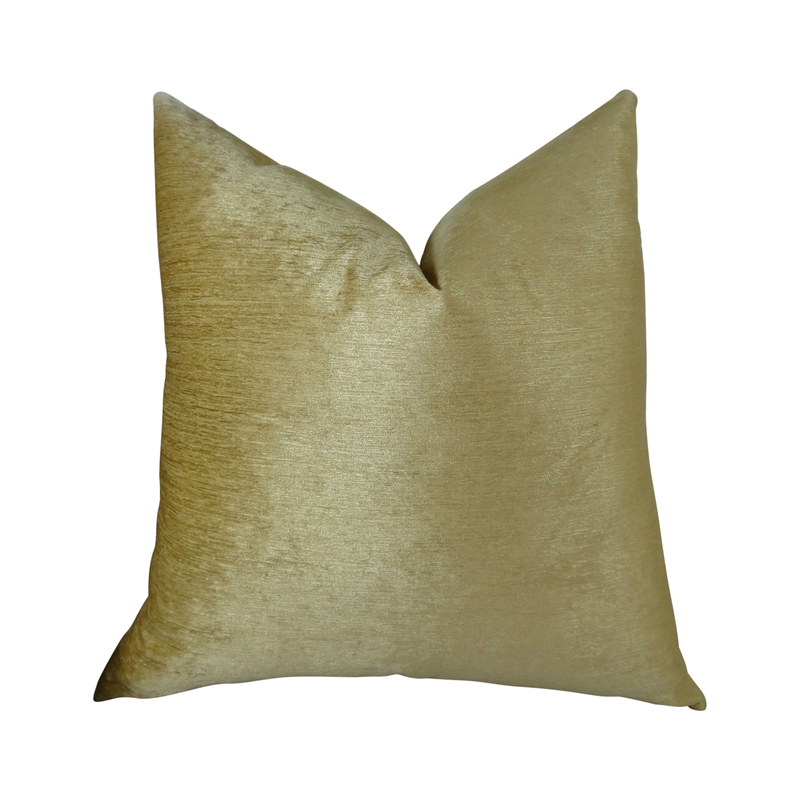 Pillows include *Made in USA* Hypoallergenic Down Alternative Polyfill Insert - Invisible Zipper for a Tailored Look - Back fabric color: tan Available in different sizes, single sided or double sided. 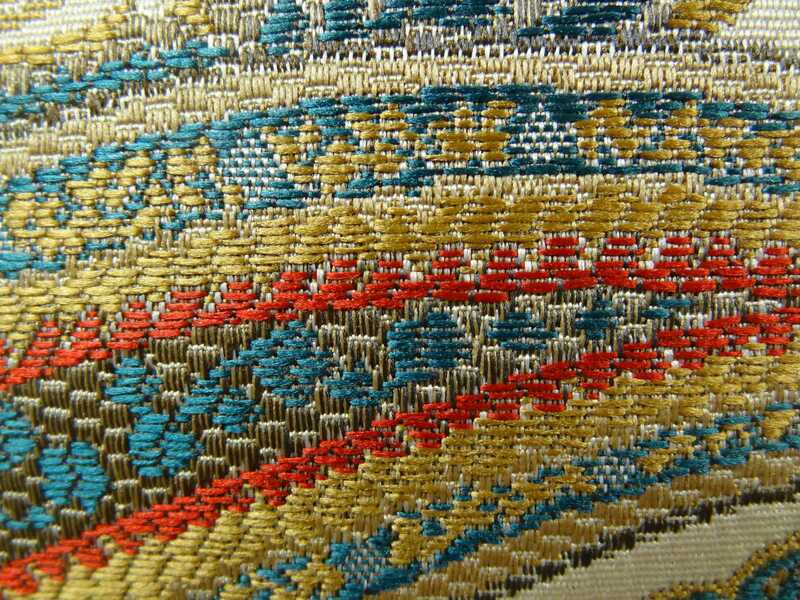 *Handmade in USA* * Hypoallergenic Down Alternative Polyfill * Fabric Content: 100%Polyester * Color: Cream,Red,Blue * Size: 20" x 20"